What's the true cost of injection mold tooling in China? 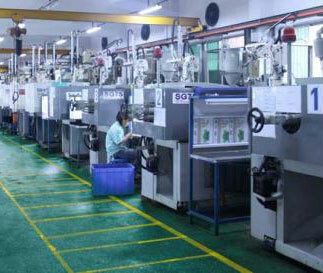 Home » Plastic Injection Molding in China » What's the true cost of injection mold tooling in China? I feel that many companies who are doing injection mold tooling overseas for the first time do not understand the total cost of sourcing molds from China. They see the very competitive price and delivery but do not see the entire picture. If they need to send a plastic injection mold tooling engineer over there at any point - how much does that cost? If the plastic injection mold is going to be run in the U.S. then it will need to be shipped after first article parts are approved. 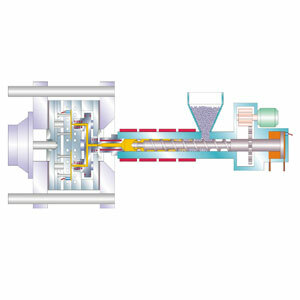 How much does it cost to delay full production while the plastic injection mold is in-transit? Many part designs have minor or even major issues in regard to whether they can be molded successfully when they are sent out for quotation. Is the draft done correctly? 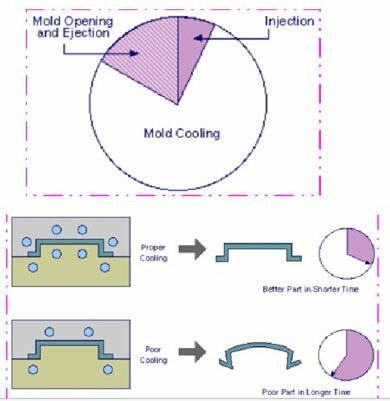 Can surfaces be shut off so as to ensure a reasonable plastic injection mold life?? 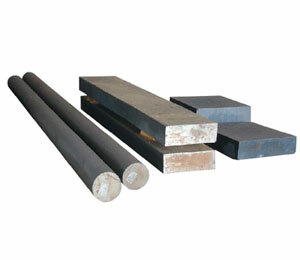 Many times it is difficult to resolve these sorts of things when dealing with an off-shore injection mold supplier. There are many U.S. mold makers who make a very good living re-working off-shore injection molds to deal with design issues that were not resolved in the beginning. That cost is seldom considered in the initial analysis of where to source a plastic injection mold tooling program. In all fairness, I have seen some very good plastic injection mold tooling come out of China. Sound mold making practices know no boundaries. A good domestic injection mold tooling broker can solve some of the concerns I have mentioned, but mine is by no means a complete list of issues or concerns that I have seen over the years. Something also needs to consider is your product liability exposure. Will your current insurance carrier include that liability for the plastic injection molds from China? Some carriers are concerned with the fact that you aren't making the plastic mold yourself, so how do they insure for an exposure that they don't know about? Also, you want to make sure you have an Ocean Cargo policy for the shipping, normally once the product leaves the overseas company your insurance should pick it up, in other words, if something happens to the shipment while coming to you. Many companies I deal with see a plastic injection mold tooling quote and never add in the "extras". I have been sourcing plastic injection molds from China for over 15 years and here is my list of concerns buyers have mentioned. What is the real landed price to my factory. Understanding that the PO is for good parts/tool to run to EAU for X years not just samples. Who covers all the freight cost for samples sent from China. Are components used in injection mold tooling available in US. Does PO for tooling include all CAD files required to make domestic plastic injection mold changes. Are CAD files updated to reflect the actually injection mold tooling being shipped. Was the plastic mold tooling sampled in an equivalent machine to the one it will run in in the US. Did the plastic injection mold run for 24 hours or just long enough to get enough samples. Did you receive parts on the runner and not groomed, that will tell you a lot about what injection mold is being shipped to you. There are so many concerns when buying a plastic injection mold for anywhere, but especially a country that takes 20 hours to fly to and has a work schedule that is 12 ahead of you. Be smart, be thorough and make sure to add up all the costs. (mold/travel/tooling/modification/duties/customs/broker...etc) to the plastic injection mold tooling before you settle your company, your factory or your supplier with a plastic injection mold that was a "better price" than US.